Heather has 16 years of experience privately tutoring. She began tutoring in 1999 while she was attending Mount St. Mary's College. Heather tutors middle school, high school, and college level students and enjoys working with both youth and adults. She also has 12 years of experience teaching for Frederick County Public Schools. She has helped students learn Pre-Algebra, Geometry, Contemporary Math, Algebra 1, Algebra 2, Advanced Algebra, Pre-Calculus with Trigonometry, and AP Calculus inside and outside of the classroom. Heather believes everyone is capable of understanding math as long as they have the right tools. A good tutor can truly make a lasting impact. Heather understands that each person learns differently and enjoys finding just the right way to help others make sense out of math. She tailors her instruction to meet the needs of each student and explains in a way others can understand. Heather helps students build confidence, improve fluency, and deepen their understanding. Heather completed her bachelor's degree in mathematics with a teacher certification at Mount St. Mary's College in 2003. She started teaching math for FCPS in 2003. 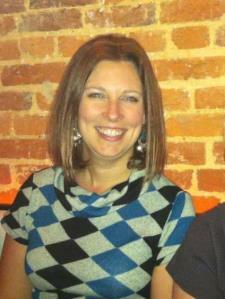 While teaching, Heather completed her Master's degree in Mathematics Education at Hood College in 2010. Please contact Heather so she can help you succeed and feel more confident in math! I have taught and privately tutored algebra 1 for many years. I taught AP Calculus and have tutored students through the course for many years. I am qualified to tutor SAT math. My daughter said her tutoring sessions with Heather have been very helpful for her Calculus AB class. She has had 3 so far and plan to continue weekly for now. My daughter has met with Heather twice so far and we plan to continue meeting with her. She is vey knowledgeable with respect to Algebra 2. She is patient and explains and works through problems with my daughter. My daughter felt more confident with Algebra after meeting with Heather. I would highly recommend Heather! My son has tutored with Heather for almost a semester. He really enjoys working with her, and his grades have dramatically improved. We plan to tutor with her more!